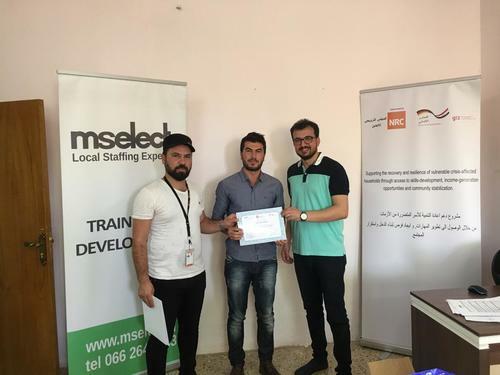 The Soft Skills Program was a collaboration between the Norwegian Refugee Council (NRC) and the MSELECT Academy, where the latter successfully accomplished the training of 300 male and female IDP beneficiaries on personal development skills from the Hamdaniyah district in Nainawa governorate. 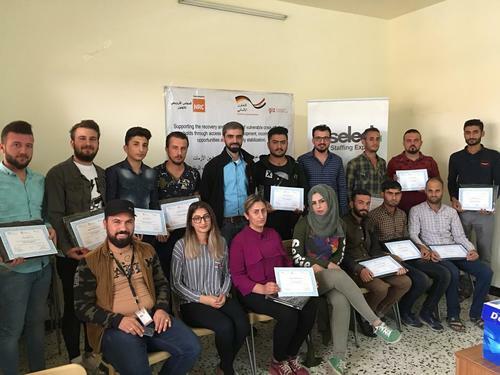 The program aimed to develop employability and interpersonal skills to empower and equip the people living in vulnerable post conflict regions with skills necessary to effective work behavior and self-management skills. Each training module lasted 2 days of 4 hours of instruction per day. The training sessions were conducted at NRC facilities in Quraqosh and Bartella and lasted two months. 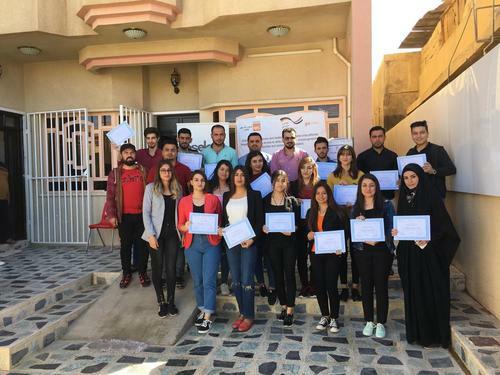 The objective of the program was to equip the IDP members with the required skills to succeed in the working place and scaling them up to a higher level of professionalism, in addition to improving their lives with skills they need in everyday life and in their personal relationships. The Norwegian Refugee Council (NRC) assists internally displaced Iraqis (IDPs), refugees, and host communities in Ninewa, Duhok, Erbil, Salah Al-Din, Kirkuk, Baghdad, Sulaymaniyah and Anbar. They focus on assisting the newly displaced, those in lengthy displacement in camps and those in hard-to-reach places. NRC has also been providing Soft and Vocational Training to these Vulnerable Community Members to facilitate their return the regions workforce and improve livelihood of these war effected areas. In 2012, MSELECT Academy was formed to consolidate the various training areas and partnerships that MSELECT provides, and to widen the scope of our training services in the region.